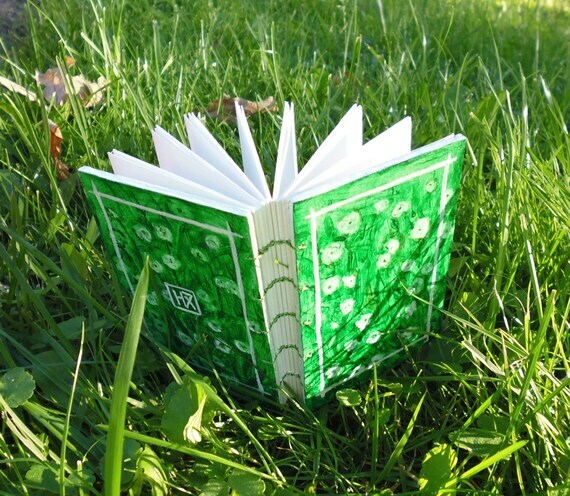 Green and white floral sketchbook with heavy watercolor paper inside. 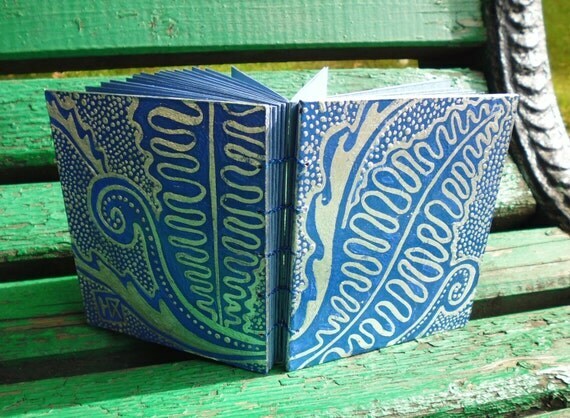 Coptic bound, sewn by metallic thread, 32 sheets of white watercolor paper inside (200 gsm or 110 lb), 7,4*10,8cm. Thick watercolor paper is great for quick sketches, more detailed drawings or even water soluble media. 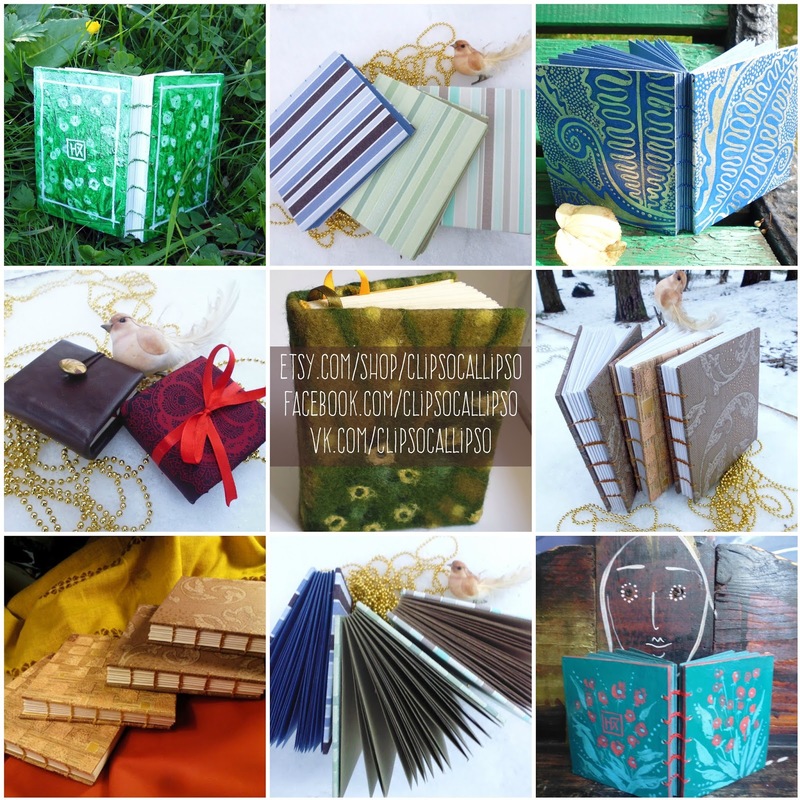 Book is bound using coptic stitch - it allows the sketchbook to open completely flat. Hard cardboard covers handpainted and covered with glossy varnish from both sides, so the cover is waterproof and doesn't afraid of scratches. Artist's logo on the back cover. 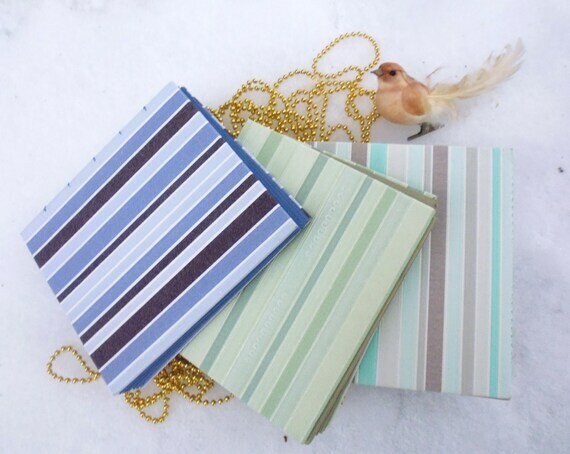 Three sketchbooks with 200 gsm blue pastel, green pastel or craft paper inside and hard cardboard covers decorated by striped upcycled walpaper. Coptic bound, sewn by metallic thread, 28 sheets / 56 pages, 14,3*16,5 cm. Thick (200 gsm or 130 lbs) watercolor/ pastel/ craft paper is great for quick sketches, more detailed drawings or even water soluble media. 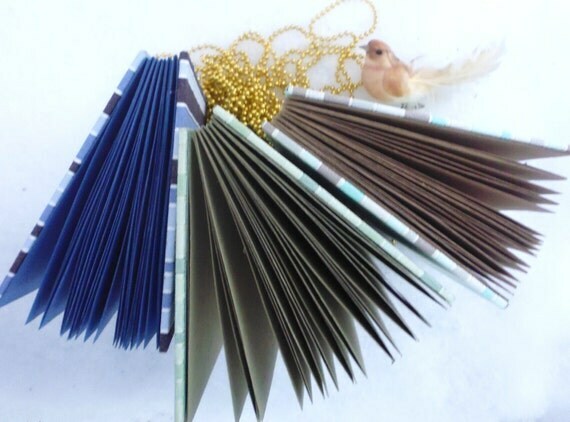 Book is bound using coptic stitch - it allows the sketchbook to open completely flat. 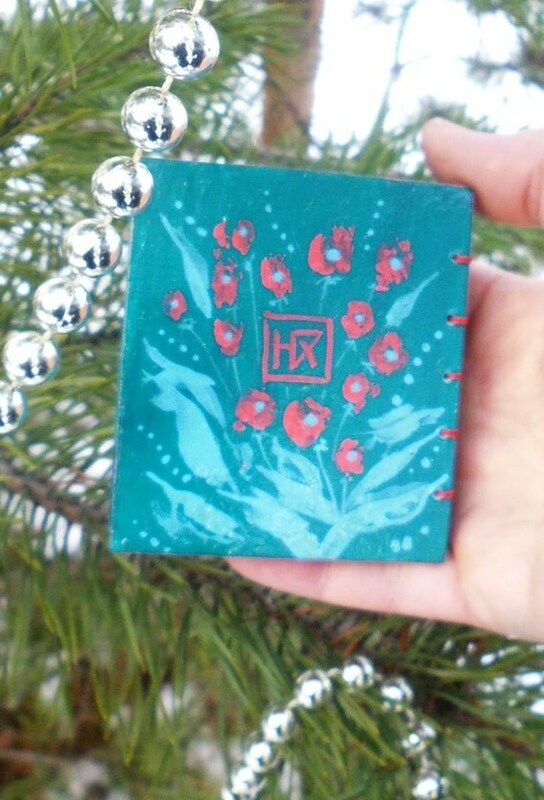 Floral sketchbook with blue pastel paper inside and silver leaf painting outside. Coptic bound, sewn by metallic thread, 32 sheets / 64 pages of blue pastel heavyweight paper inside (200 gsm or 110 lb), 10,5*12 cm. Hard cardboard covers handpainted with silver leaf and covered with glossy varnish, so the cover is waterproof and doesn't afraid of scratches. Artist's logo on the back cover. 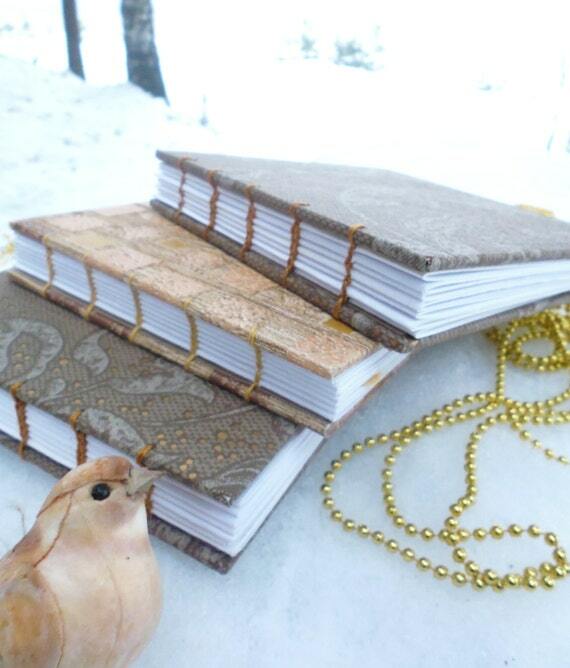 Two mini handbound journals, completely handmade. Size: 7x7x2 cm. 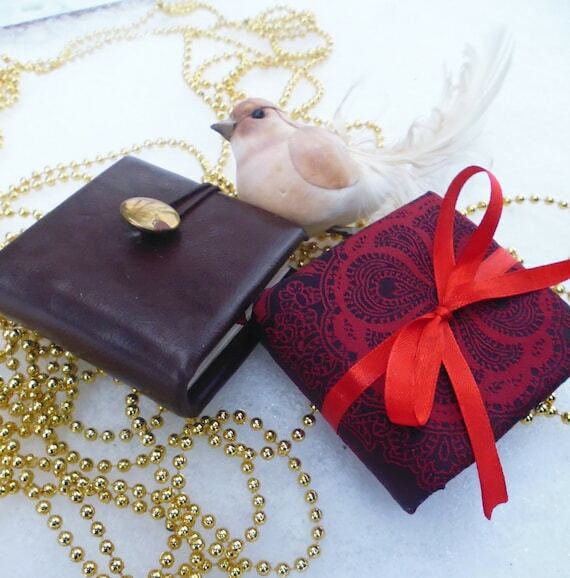 Covers are made from the hard cardboard, bound in brown imitation leather or black and red taffeta. ~ 40 sheet / 80 pages thick coated paper - great for callgraphy or graphic art. Folded and sewn by hands. Hand marbled endpapers. Headbands sewn by hands. Floral handbound sketchbook with tender felt cover, 30 sheets / 60 pages of blank pale paper (160 gsm or 100 lb, perfect for drawing), 10*13,5 cm. 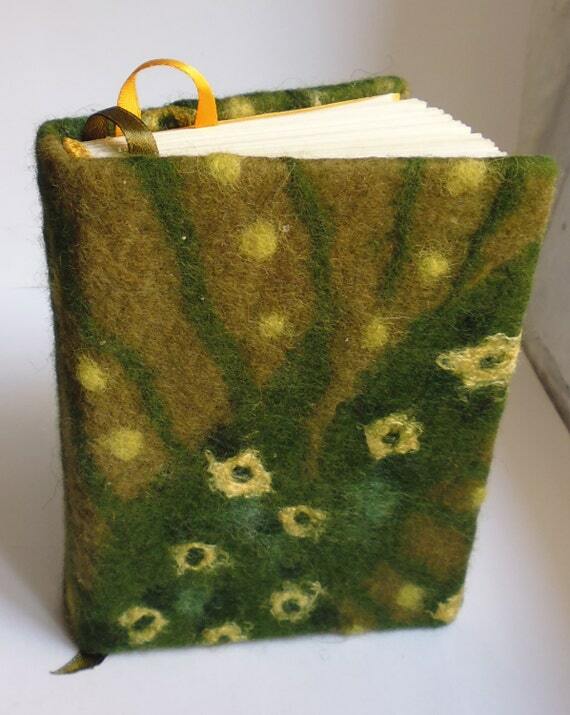 Cover is made in the wool painting technique (needle and wet felting were used) and depicts abstract yellow flowers on the olive and moss green field. The headbands are hand sewn with nylon thread, two ribbons for a bookmark. 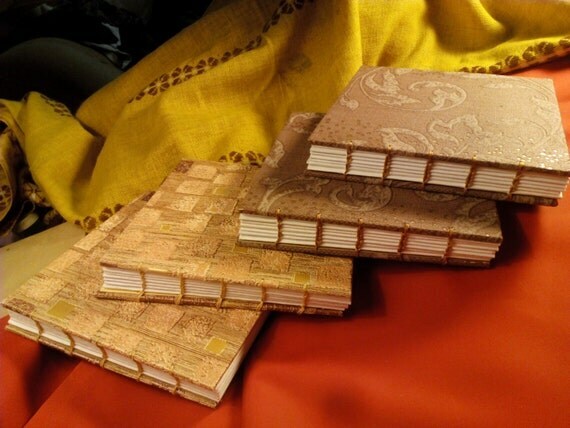 Golden-brown handbound sketchbook decorated with floral and abstract upcycled wallpaper. Coptic bound, sewn by capron thread. 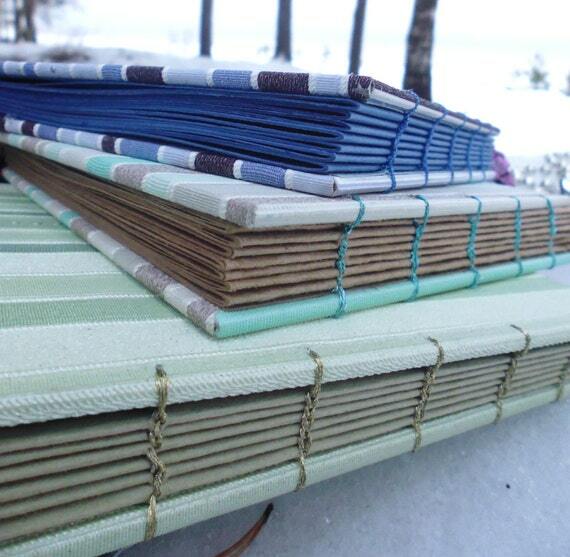 Coptic stitch allows the sketchbook to open completely flat. 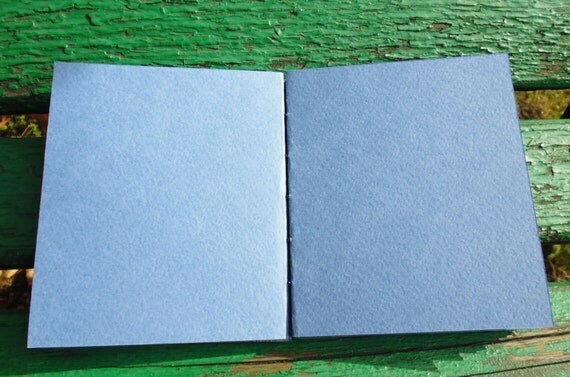 42 sheets / 84pages of white eggshell textured (from one side) 200 gsm paper inside, 16,5*16,5cm (6,5*6,5 in). Thick watercolor paper is great for quick sketches, more detailed drawings or even water soluble media. 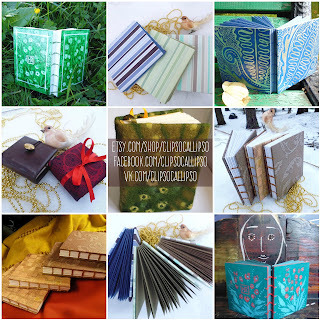 Hard cardboard covers decorated by upcycled wallpaper with floral or abstract pattern. 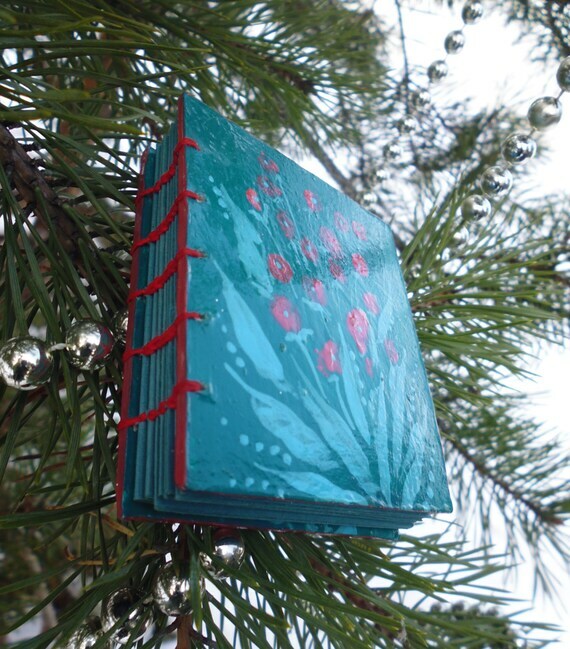 48 sheets / 96 pages (160 gsm or 90 lb, "canvas" stamping), 7*5,7 cm (8*3,25"). 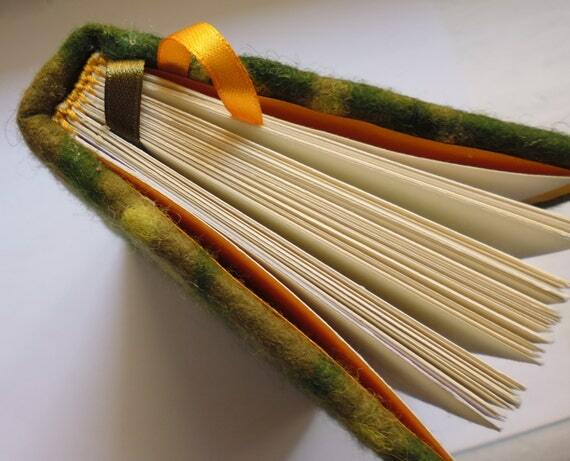 Book is bound using coptic stitch - it allows the sketchbook to open completely flat. Hard cardboard covers handpainted and covered with glossy varnish from both sides, so the cover is waterproof and doesn't afraid of scratches.